CHICAGO -- A Chicago woman who threw her newborn from a window because she feared her Muslim parents from Pakistan wouldn't approve of her pregnancy has been sentenced to probation. 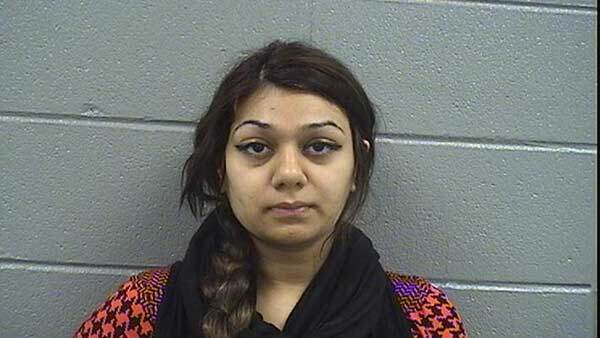 The Chicago Tribune reports that 20-year-old Mubashra Uddin on Thursday pleaded guilty to involuntary manslaughter and a Cook County judge sentenced her to four years of probation. Uddin was given credit for serving 603 days in jail. She originally was charged with first-degree murder in the November 2015 death. Prosecutors said at the time she was charged that Uddin gave birth and dropped the baby girl out of an eighth-floor bedroom window when she heard her mother approaching. A man found the injured newborn in the grass. The baby died the next day at a hospital.